Forget fish and chips or curry, pasta is the nation’s favourite when it comes to choosing what to cook. In many UK homes Italian food is served 2-3 times a week with “spag bol” in top position as the most cooked meal. Imagine pasta salad with sun-dried tomatoes, rocket and walnuts; or goats cheese and honey ravioli; or creamy spinach and asparagus fettuccine – it all sounds soooo delicious, but if you have a friend with IBS (Irritable Bowel Syndrome) it’s immediately off the menu. Still, IBS sufferers can eat pasta if it’s not made from traditional durum wheat. Biona have spaghetti, fusilli and tagliatelle all made from spelt, a more ancient grain which doesn’t effect people with IBS. In fact pasta can be made from corn, rice, kamut, buckwheat, amaranth, millet or quinoa; vegetables are often used in pasta too. Using other types of pasta also means a bigger range of flavour: nutty or sweet, firm or rich in texture. Choose the right kind of pasta and you really can amplify how your dinner will taste. Here’s a buckwheat pasta recipe called Pizzoccheri – it’s a great comfort food. 1. In a small pan, melt the butter together with the cloves of garlic and the sage. Keep on a low heat so it does not burn. 2. Cook the pasta in boliling water for about 15 minutes (buckwheat pasta takes longer then normal pasta). 3. At the same time boil a second pan of salted water. Shred the cabbage leaves and blanch for 1 minute. Drain and place in a large serving dish. Keep the pan of water. 4. Add the potatoes to the same water and boil until very tender (about 10 minutes). Drain and add to cabbage. 5. When the pasta is cooked to al dente. Drain and toss in with the cabbage and potatoes. Mix in the cheeses. 6. Pour the butter over the top of the pasta and season with the salt, pepper and nutmeg. When it comes to gluten-free the Italians are well educated about Ceoliac disease. 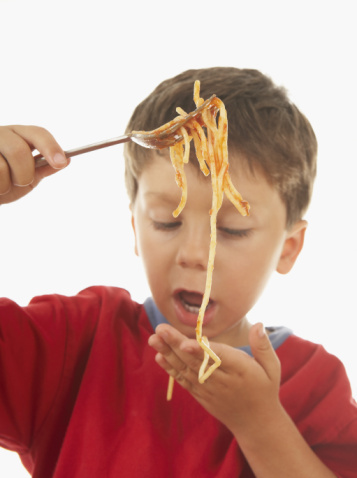 All Italian children are tested for gluten intolerance by the time they are 6. We get a little benefit of their know-how with companies like Buontempo who price their gluten-free pasta at very competitive prices. And our very own Doves, the British purveyor of organic and gluten-free flours, has an organic gluten-free pasta range where the pasta is made in… well Italy, obviously. There are so many pasta companies out there who are worthy of a mention. Barkat, for example, is a special diet company who have just introduced it’s own gluten-free macaroni. The best thing to do is to type ‘pasta‘ into the GoodnessDirect search box and then use the brand guide on the right to check through the different options.